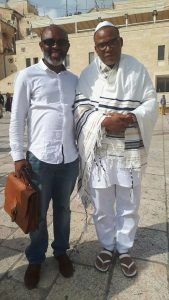 The leader of the Indigenous Peoples of Biafra, IPOB, Mazi Nnamdi Kanu has been sighted in Jerusalem. 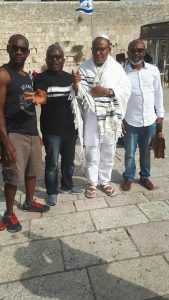 Kanu was sighted in Jerusalem on Friday praying. 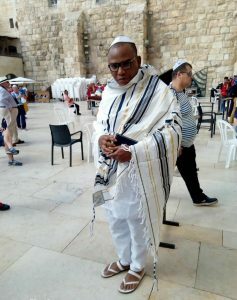 In a video which surfaced online, the IPOB leader could be seen donning a Jewish outfit used for prayers while holding a book at the historic Wailing Wall in Jerusalem. Therefore , inform your friends ,families and well wishers to join us on Radio Biafra London on the above date and time. 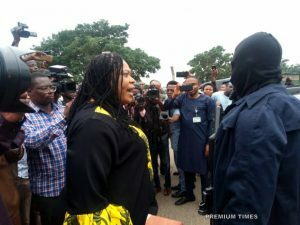 There have been pockets of jubilation across the South East part of Nigeria as information of his reappearance hist the social media.